A case for ad blockers? I don’t believe in internet ad blockers. I mean, I believe they exist, but I’m believer in advertising as a legitimate means to support content that’s provided to audiences for free. It’s the ultimate leveling-agent, allowing anyone — rich or poor — access to information and entertainment. And then I notice stuff like this. 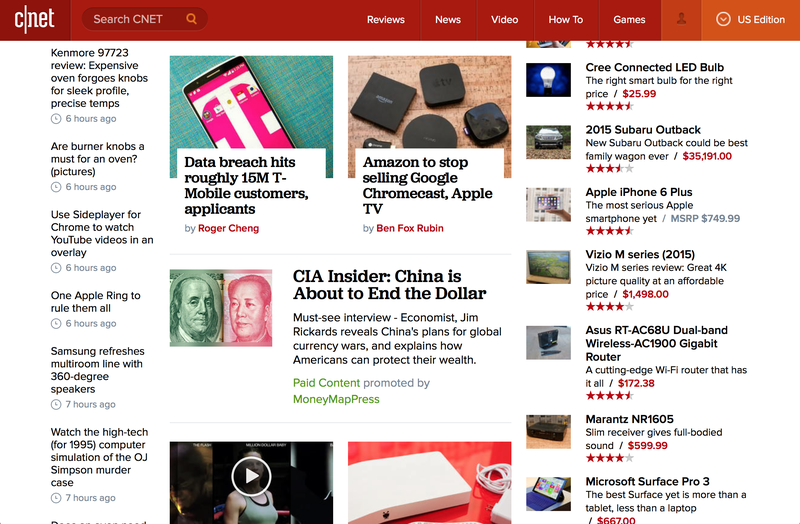 Photo 1: The normal homepage of CNET.com, as it appears right now as I type this. Photo 2: The same page at the same time with an ad blocker in effect. 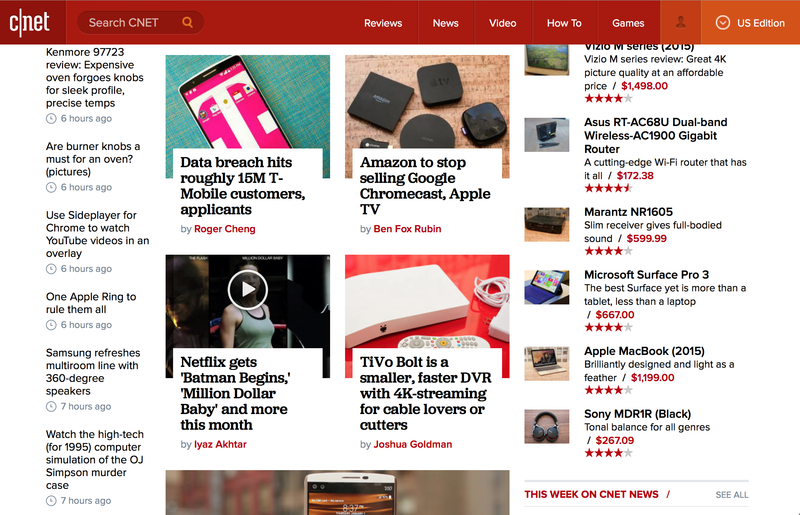 CNET, you can do better than this. You’re only giving ammunition to people who want to decimate your primary form of revenue. Do you really need an A/V receiver? The Apple Watch Sport band conundrum: Why doesn't Apple want you to pair a white watch with a black band? Ramblings of an Asparagus Warning: The asparagus uses some pretty salty language.